"I have a pocket protector." That's an absolutely dreadful & cringe-inducing quote from Ben Affleck in The Accountant, the year's biggest disappointment. 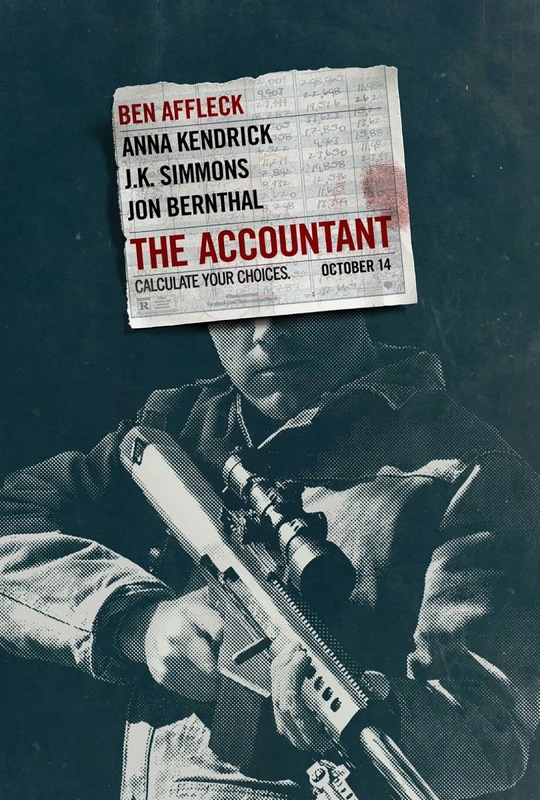 Affleck plays Christian Wolff, an accountant with autism. Wolff had many problems during his childhood alongside autism, including his mother leaving him, his brother, & his father. Now, Wolff is an accountant for some of the most diabolical men on Earth. This attracts Treasury Department head Ray King (played by J.K. Simmons), who sends new recruit Marybeth Medina (played by Cynthia Addai-Robinson) to find him, threatening to disclose her former criminal history if she doesn't find him. Wolff decides to do accounting for a company called Living Robotics, where he discovers $61 million dollars is missing. He then meets in-house accountant Dana Cummings (played by Anna Kendrick), who then works with him to find who did it. Later, the CFO of the company is murdered, & CEO Lamar Black (played by John Lithgow) lets Wolff go. Now realizing the company is after him, Wolff reveals his dark, violent & murderous side, & must protect Dana. The cast was terrible, with Kendrick & Simmons giving mediocre, but committed performances, while Affleck was extremely unconvincing in a more "dorky" role. Gavin O'Connor's direction was terrible. The screenplay from Bill Dubuque was dreadful. And the pacing of the film was extremely awful, along with the plot, which was extremely confusing, trying to tie everything together & failing miserably. This is one of the worst films I've ever seen.